Cattle injection for the treatment and prevention of mixed infestations by gastrointestinal nematodes, respiratory nematodes and certain arthropod parasites. 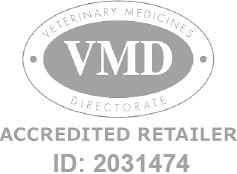 Cydectin 10% LA Inj - 200ml is a Prescription Only Veterinary Medicine and by law requires a prescription from your vet. Cydectin 10% Cattle Injection 200ml is for the treatment and prevention of mixed infestations by gastrointestinal nematodes, respiratory nematodes and certain arthropod parasites. A clear yellow, slightly viscous, sterile solution containing 100 mg/ml moxidectin (active ingredient) and 70 mg/ml Benzyl Alcohol PhEur (preservative/co-solvent).